I am Sarah, a girl who caught the travel bug young and who doesn’t like to sit still for too long. I moved from my hometown to study International Studies, French and English. In college, I continued to play cello in the orchestra and led a co-ed a cappella group, as well as organizing for the French club and leading service Spring Break trips. I came to Brussels because I wanted to graduate with tangible experience in both of my majors and I had spent the semester before in France doing an intensive French language program. 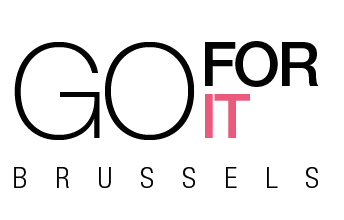 An internship in Brussels allowed me to get an in-depth experience of the international relations of both my native country and of my European specialization. In being here, I realized how much I love the daily Parliament life – never quite getting to the end of the email inbox, always running to the next meeting by way of the coffee shop, making friends by sympathizing over your never ending meeting schedule or bonding with your office over laughing at the lobby groups that never seem to stop knocking on your door. By talking to graduate students interning alongside me, I’ve cemented the idea that I will pursue graduate school here in Europe. 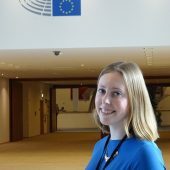 I hope to continue to pursue my passion for international politics and the culture of the European Parliament with a job in a related field at some point in the future, and I know that the experience I am currently having is indispensable in that search. – Sarah’s travel bug is alive and well! After a gap year teaching English in France, she is applying to graduate schools in Europe and the US.